The CLP-09 is an ingenious little clamp that helps you perfectly place your products on trussing. The CLP-09 was specifically engineered to fit the 20mm cross braces of standard 12” trussing. 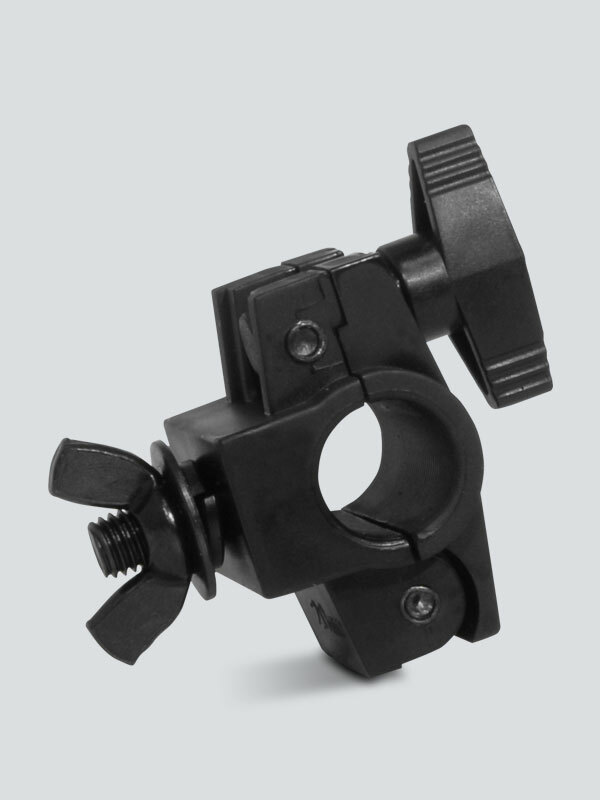 Because of its diminutive size the CLP-09 is designed smaller fixtures weighing less than 20lbs. A complete wrap-around design ensures stability and safety while the ABS plastic will not scuff your truss or lights.